There was a time when a newly independent India, a third world low-income democracy, could punch above its weight in the international arena. On Monday, four days after the Supreme Court of the Maldives ordered the release of all political prisoners, South Block watched as the government of Abdulla Yameen announced a state of emergency in the country for 15-days. Yameen’s government suspended the Supreme Court and sent in security personnel in riot gear and blue fatigues to arrest the chief justice and another top judge. Later, it also arrested former president Maumoon Abdul Gayoom. 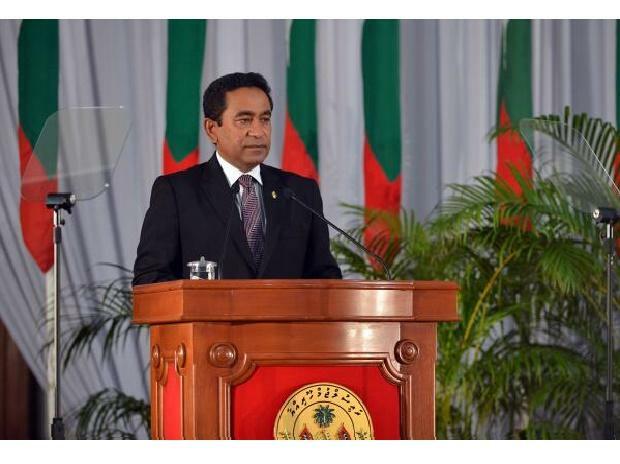 He was president from 1978 to 2008, when the Maldives became a multiparty democracy. Gayoom is Yameen’s half-brother. This isn’t a first for Yameen. Ever since coming to power, his government has eroded civil liberties and has either thrown in prison or forced into exile, all political rivals. Mohamed Nasheed, who had become president in the first multiparty elections in 2008 by defeating Gayoom, denounced the emergency decree. Nasheed currently lives in exile. He was one of the opposition politicians that the Supreme Court had ordered to be freed. Currently, Gayoom and Nasheed are part of an opposition alliance. Nasheed, who currently lives in Colombo, urged India to “act swiftly” to help resolve the crisis. It is unlikely that Nasheed, after his recent experiences with South Block, was hoping for a repeat of ‘Operation Cactus’, but has tried nevertheless. On November 3, 1988, India had launched ‘Operation Cactus’ to successfully foil a coup by mercenaries to restore the government of the then president Maumoon Abdul Gayoom. The US, erstwhile Soviet Russia, Great Britain and several other countries had applauded India, particularly for its “swift” response. But much has changed in the manner India has run its foreign policy in the last two decades by increasingly looking at international issues through a pragmatic geo-strategic prism of increasing trade, investments and security cooperation.